So we have to understand what meditation is. “The mad mind does not halt. If it halts, it is meditation.” Meditation is a state of thoughtless awareness: Meditation is a state of non-emotional, non-sentimental, non-thinking awareness. When you are simply aware, when you become a pillar of awareness. When you are simply awakened, alert, attentive. When you are just a pure awareness. How to enter into it? The Zen people have a special word for the entry, they call it hua t’ou. This Chinese word means ante-thought, or ante-word. The mind, before it is stirred by a thought, is called hua t’ou. Between two thoughts there is a gap, that gap is called hua t’ou. Watch. One thought passes on the screen of your mind – on the radar screen of your mind one thought passes like a cloud. First it is vague – it is coming, it is coming – then it is there suddenly on the screen. Then it is moving, then it has gone out of the screen, again it becomes vague and disappears… another thought comes. Between these two thoughts there is a gap – for a single moment or a split second the screen is without any thought. That state of pure no-thought is called hua t’ou – ante-words, ante-thought, before the mind is stirred. Because we are not alert inside, that’s why we go on missing it – otherwise meditation is happening each moment. You have just to see it happening, you have just to become aware what treasure you are carrying always within you. It is not that meditation has to be brought from somewhere else. The meditation is there, the seed is there. You have just to recognize it, nurture it, take care of it, and it starts growing. The interval between two thoughts is hua t’ou. And that is the door to enter into meditation. hua t’ou – the word literally means ‘word head’. ’Word’ is a spoken word, and ‘head’ is that which precedes the word. hua t’ou is the moment before a thought arises. 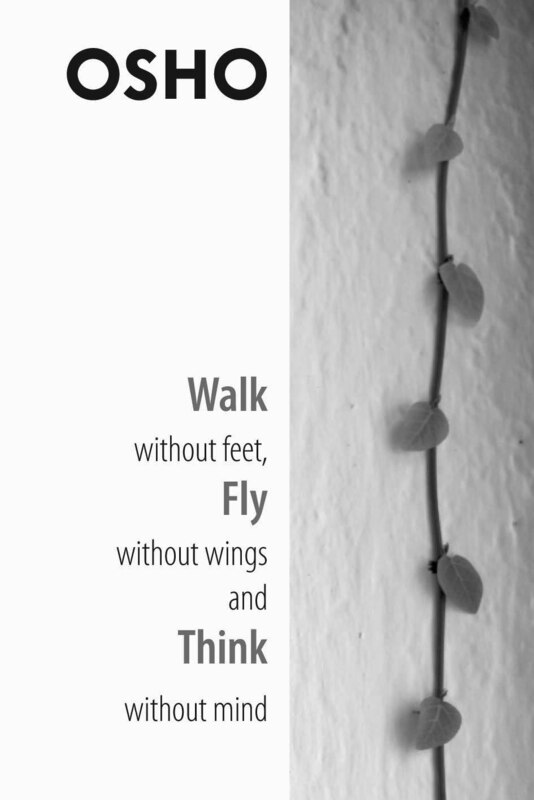 As soon as a thought arises it becomes a hua wei – hua wei literally means ‘word tail’. And then when the thought has gone or the word has gone and there is a gap again, it is again hua t’ou. Meditation is looking into this hua t’ou. “One should not be afraid of rising thoughts,” says Buddha, “but only of the delay in being aware of them.” This is a tremendously new approach towards the mind, never attempted before Buddha. Buddha says one should not be afraid of rising thoughts. One should only be afraid of one thing – of not being aware of them, of being delayed in awareness. When a thought arises, if with the thought your awareness is also there – if you can see it arising, if you can see it coming, if you can see it there, if you can see it going – then there is no problem at all. This very seeing, by and by, becomes your citadel. This very awareness brings you many fruits. You can first see, when you see that you are not the thought. Thought is separate from you, you are not identified with it. You are consciousness and it is content. It comes and goes – it is a guest, you are the host. This is the first experience of meditation. Zen talks about two words: foreign dust. “And this is just where we would begin our training.” Zen says, “For instance, a traveler stops at an inn where he passes the night or takes his meal. And as soon as he has done so, he packs and continues his journey, because he has no time to stay longer. As for the host of the inn, he has nowhere to go. This is a great insight. Consciousness is not the content. You are consciousness: thoughts come and go, you are the host. Thoughts are the guests – they come and stay for a while, take a little rest, or their food, or stay overnight, and then they are gone. You are always there. You are always the same, you never change you are eternally there. You are eternity itself. Watch it. Sometimes you are ill, sometimes you are healthy, sometimes you are depressed, sometimes you are happy. One day you were very very small, a child, then you became young, and then you became old. One day you were strong; one day comes, you become weak. All these things come and go, but your consciousness remains the same. That’s why, if you look inside, you cannot reckon how old you are – because there is no age. If you go inside and look and try to find out there how old you are, there is no age, because there is no time. You are exactly the same as when you were a child or when you were young. You are absolutely the same inside. For age you have to look at the calendar, at the diary, at your birth certificate – you have to look for something outside. Inside you will not find any age or aging. Inside there is timelessness. You remain the same – whether there is a cloud called depression or the cloud called happiness, you remain the same. Sometimes there are black clouds in the sky – the sky does not change because of those black clouds. And sometimes there are white clouds also, and the sky does not change because of those white clouds. Clouds come and go, and the sky remains. Clouds come and go, and the sky abides. You are the sky and thoughts are the clouds. The first thing, if you watch your thoughts minutely, if you don’t miss them, if you look at them directly, will be this understanding – and this is a great understanding This is the beginning of your Buddhahood, this is the beginning of your awakening. You are no more asleep, you are no more identified with the clouds that come and go. Now you know you abide forever. Suddenly all anxiety disappears. Nothing changes you, nothing will ever change you – so what is the point of being anxious, in anguish? What is the point of being worried? No worry can do anything to you – these things come and go, they are just ripples on the surface. Deep in your depth, not a single ripple ever arises. And you are there, and you are that. You are that being. Zen people call it the state of being a host. Ordinarily, you have become too much attached with the guests – hence your misery. One guest comes, you become too much attached. And then the guest is packing and is leaving, and then you cry and you weep and you run around and you go with him – at least to see him off, to give him a send-off. And then you come crying and crying – one guest has left and you feel so miserable. And another guest comes and again you fall in with the guest, again you become identified with the guest, and again he is going. Guests come and go, they don’t stay! They can’t stay, they are not to stay, they are not meant to stay. Have you watched any thought? It never stays, it cannot stay. Even if you want to make it stay, it cannot stay. Try. That’s what people try sometimes – they try to keep one word in the mind. For example, they want to keep one sound aum in the mind. For a few seconds they remember, and then it is gone, slipped. Again they are thinking of their market, of their wife, of their children…. Suddenly they become aware – where is that aum? It has slipped. Guests are guests – they have not come to stay there. Once you see that all that happens to you is going to move away from you, then why be worried? Watch: let them be there, let them pack, let them leave. You remain. Can you see the peace that arises if you can feel that you always abide? This is silence. This is an unworried state. This is non-anguish. Suffering ceases the moment identification ceases. Don’t get identified – that’s all. And if you can watch somebody who lives in such eternal timelessness, you will feel a grace, a coolness, a beauty, around him. It happened – the story is about Buddha, a beautiful story. Listen to it carefully, because you can miss it. One day, at mealtime, the World Honored One put on his robe, took his bowl and entered the great town of Sravasti to beg for his food. After he had begged from door to door, he returned to his place. When he had taken his meal, he put away his robe and bowl, washed his feet, arranged his seat, and sat down. Visualize Buddha doing all this and then sitting down on his seat. This shows the Buddha’s ordinary life and daily activities which were similar to those of others and had nothing special about them. There is, however, something which is uncommon, but very few know it. What is that? What is that uncommon unique quality? – because Buddha is doing ordinary things. Washing his feet, arranging his seat, sitting down, putting away his robe, putting away his bowl, going to bed, coming back – ordinary things everybody is doing. Now, nothing rare seems to be there on the surface. Buddha coming, putting away his robe, putting away his bowl, arranging his seat, washing his feet, sitting on the seat – there seems to be nothing unusual. And this man, Subhuti…. Subhuti is one of the most insightful disciples of Buddha – all great beautiful stories about Buddha are concerned with Subhuti. This is one of those stories, very rare. Never seen before, it is unique. Alas! The Tathagata had been thirty years with his disciples and they still did not know anything about his common acts of daily life. As they did not know, they thought these acts were ordinary and let them pass unnoticed. They thought only that he was similar to others and were, therefore, suspicious of and did not believe what he said. 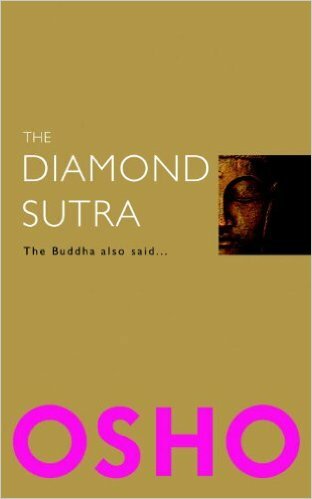 Had Subhuti not seen clearly, no one would really know the Buddha. Hence the grace of Buddha, hence this unworldly beauty of Buddha. He remains cool. This coolness is what meditation is. It has to be attained by being more alert of the host, by being more alert of the guest, by getting disidentified with the guest, by disconnecting yourself from the guest. Thoughts come and go, feelings come and go, dreams come and go, moods come and go, climates change. All that changes is not you. Is there something that remains unchanging? That’s you. And that is God. And to know it, and to be it, and to be in it, is to attain to samadhi. Dhyana is the method, meditation is the method, samadhi is the goal. Dhyana is the technique to destroy this identification with the guest. And samadhi is dissolving into the host, abiding in the host, getting centered there. Each morning one gets up again with him. When rising or sitting, both watch and follow one another. Whether speaking or not, both are in the same place. But are like the body and its shadow. In the sound of your own voice there is he. This is a Zen saying: “Each night one embraces a Buddha while sleeping.” The Buddha is always there, the non-Buddha is also there. In you meet the world and nirvana, in you meet God and matter, in you meet the soul and the body. In you meet all the mysteries of existence – you are a meeting-place, you are a cross-roads. On one side the whole world, on the other side the whole of God. And you are just a link between the two. Now, it is only a question of emphasis. If you go on focusing yourself on the world, you remain in the world. If you start changing your focus, if you shift your focus and you start focusing on consciousness, you are God. Just a small change, as if one changes a gear in the car – just like that. “Each night one embraces a Buddha while sleeping, each morning one gets up again with him.” He is always there, because consciousness is always there; not for a single moment is it lost. “When rising or sitting, both watch and follow one another.” The host and the guest, both are there. Guests go on changing, but somebody or other is always there in the inn. It is never empty – unless you become disidentified with the guest. Then an emptiness arises. Then sometimes it happens your inn is empty; there is only the host sitting at ease, not being bothered by any guests. Traffic stops, people don’t come. Those moments are of beatitude; those moments are of great blessing. “Whether speaking or not, both are in the same place.” When you are speaking, there is also something silent in you. When you are lusting, there is something beyond lust. When you are desiring, there is somebody who is not desiring at all. Watch it, and you will find it. Yes, you are very close, and yet you are very different. You meet, and yet you don’t meet. You meet like water and oil; the separation remains. The host comes very close to the guest. Sometimes they hold hands and hug each other, but still the host is the host and the guest is the guest. The guest is one who will come and go; the guest will go on changing. And the host is one who remains, who abides. “They never even for a single moment part, but are like the body and its shadow. If you wish to know the Buddha’s whereabouts, in the sound of your own voice there is he.” Don’t go on looking for the Buddha somewhere outside. He resides in you – he resides in you as the host. Now, how to come to this state of the host? I would like to talk to you about a very ancient technique; this technique will be of tremendous help. To come to this unknowable host, to come to this ultimate mystery of your being, this is the way – one of the very simple ways Buddha has proposed. Deprive yourself of all possible relationships, and see what you are. Suppose you are not a son to your parents, nor the husband to your wife, nor the father to your children, nor a relative to your kindred, nor a friend to your acquaintances, nor a citizen to your country, and so on and so forth – then you get you-in-yourself. Just disconnect. Some time once a day, sit silently and disconnect yourself of all connections. Just as you disconnect the phone, disconnect yourself of all connections. Don’t think any more that you are a father to your sons – disconnect. You are no more a father to your son, and you are no more a son to your father. Disconnect that you are a husband or a wife; you are no more a wife, no more a husband. You are no more a boss, no more a servant. You are no more black, no more white. You are no more Indian, no more Chinese, no more German. You are no more young, no more old. Disconnect, go on disconnecting. A thousand and one connections are there – just go on disconnecting all the connections. When you have disconnected all the connections, then suddenly ask: Who am l? And no answer comes – because you have already disconnected all those answers that would have come. Who am I? And an answer comes, “I am a doctor” – but you have disconnected with the patients. An answer comes, “I am a professor” – but you have disconnected yourself from your students. An answer comes, “I am Chinese” – but you have disconnected it. An answer comes, “I am a man or a woman” – but you have disconnected it. An answer comes, “I am an old man” – but you have disconnected it. Disconnect all. Then you are in yourself. Then for the first time the host is alone and there is no guest. It is very good sometimes to be alone without any guest, because then you can see into your hostness more closely, more carefully. The guests create turmoil, the guests create noise, and they come and demand your attention. And they say, “Do this, and hot water is needed, and where is the breakfast? And where is my bed? And there are bed bugs’… and a thousand and one things. And the host starts running after the guest. Yes, of course, you have to take care of these people. When you are completely disconnected, nobody bothers you – nobody can bother you. Suddenly you are there in all your aloneness – and that purity of aloneness, that pristine purity of aloneness. You are like virgin land, the virgin peak of a Himalaya where nobody has ever traveled. This is what virginity is. This is what I mean when I say, “Yes, Jesus’ mother was a virgin.” This is what I mean. I don’t agree with Christian theologians – whatsoever they say is all bull. This is what virginity is – Jesus must have been conceived by Mary when she was in such a disconnected state. When you are in such a disconnected state, of course if a child enters he can only be a Jesus, nobody else. In ancient India there were methods for how to conceive a child. Unless you are tremendously in deep meditation, don’t make love. Let meditation be a preparation for love: that is the whole meaning of tantra. Let meditation be the basis – only then make love. Then you invite greater souls. The deeper you are, the greater soul will be invited. Mary must have been absolutely disconnected in that moment when Jesus penetrated her. She must have been in this virginity; she must have been a host. She was no more a guest and she was no more clamored at by the guest and no more identified with the guest. She was not the body, she was not the mind, she was not her thoughts, she was not a wife, she was nobody. In this nobodiness she was there, sitting silently – a pure light, a flame without any smoke around it, a smokeless flame. She was virgin. And I say to you, exactly the same is the case when Buddha is conceived or when Mahavira is conceived, or Krishna is conceived or Nanak is conceived – because these people cannot be conceived in any other way. These people can enter only the most virgin womb. But this is my meaning of being a virgin. It has nothing to do with the foolish ideas that go around – that she never loved a man, that Jesus was not conceived with a man, that Jesus was not the son of Joseph. That’s why Christians go on saying: “Jesus the son of Mary.” They don’t talk about his father; he was not a father. Son of Mary and son of God – there was no Joseph in-between. But why be so angry about poor Joseph? Why can’t God use Joseph too, if he can use Mary? What is wrong in it? He uses Mary for the womb – that does not spoil the story. Then why not use Joseph too? The womb is half the story, because one egg from the mother has been used. Then why not use another egg from Joseph? Why be so angry at this poor carpenter? No, God uses both. But the state of consciousness must have been of the host. And really, when you are the host there is no wonder if you receive the greatest guest: Jesus comes in. If you are dis-identified from all the guests, then God becomes your guest. First you become the host, pure host. Then God becomes your guest. When you are disconnected… you-in-yourself. Now ask yourself: “What is this you-in-yourself’?” You can never answer this question – it is unanswerable, because it is cut off from all knowable relationships. This way one stumbles upon the unknowable; this is entering into meditation. When you have become settled into it, utterly settled, it becomes samadhi. Please explain ‘right-mindfulness’. If not a goal or something to practice, what is it? Sambuddha, right-mindfulness is a strange word. First: there is no mind in it – hence it is called ‘right-mindfulness’. Secondly, there is nothing right and wrong in it – hence it is called right-mindfulness. This is a Buddhist way of saying things. It can’t be a goal, because when there is a goal you are always in the wrong. Why are you in the wrong when there is a goal? Because when there is a goal there is desire, when there is desire you are unhappy, discontented. When there is desire, there is anxiety – whether you will be able to make it or not? Will it be possible or not? When there is desire there is future, and with the future anxiety enters into your being. With the desire you have lost contact with the present. Right-mindfulness is not a goal, cannot be a goal – because when all desires disappear and all goals disappear and you are here-now… that is the moment of right-mindfulness. Why is it called ‘right’? It is called right be-cause it knows no division between right and wrong. Nothing is wrong! And nothing is right. All judgements have disappeared. One is utterly innocent. When you see a rose flower, does the idea arise in you: “It is right, it is wrong”? When you see the morning star disappearing, does the idea arise in you: “Is it right or is it wrong?” When you start looking at life with no judgement, with no prejudice, then you are in the state of right-mindfulness. Jesus has said: Judge ye not. Jesus has also said: Resist not evil – not even evil has to be resisted, then arises right-mindfulness. When you are neither moral nor immoral, when you are amoral like trees and animals and birds and beasts, when you are like a small innocent child who has just opened his eyes, with no ideas… then, in that silence, in that purity, it is right-mindfulness. Why is it called right? It is called right be-cause now it knows nothing as right and wrong – it knows no division, it is indivisible. The acceptance is total! – that’s why it is called right. You have fallen into the suchness of existence. You are no longer standing there like a judge. Judging is wrong. To be in a state of non-judgement is right. Right, NOT against wrong right because all wrong and right have disappeared. You have no opinion. You don’t carry a philosophy in the mind. You are simply a mirror! When you come before the mirror, the mirror does not say, “You are beautiful, you are ugly” – it simply reflects. It reflects without condemnation, without appreciation – it reflects choicelessly. It just reflects. When your consciousness has become a mirror and simply reflects whatsoever is the case, it is right-mindfulness. That mirror-like quality…. And it is not a goal, because every goal will bring dust on the mirror. Every goal will stir desires, and desires surround your mirror like mist – then reflection is not true, then suchness is not reflected. When you have some idea, you cannot be true to reality. You distort reality according to your idea. You try to mold reality according to your idea. You are to modify reality. You go on looking for your idea. You are searching for support: you would like reality to support your idea, you would like reality to agree with you – -and then you distort. Then you start seeing things which are not there, and you stop seeing things which ARE there. Then you start living in a mind-world. To live in the mind is wrong. To live without mind is right, because without mind, the consciousness exists in its purity, mirror-like – it simply reflects. It says nothing! It has no interpretation. And why is it called mindfulness? This is the translation of a Buddhist term sammasati. Samma means right – the translation is not very correct, cannot be. Samma is a very strange word, very significant, has many meanings; ‘right’ is only one of its meanings. Samma is the root from where samadhi arises; the word samadhi comes from samma. Samma means many things. One: tranquility, silence, equanimity, balance, undisturbedness, undistractedness, centredness, groundedness – they are all aspects of samma. ‘Right’ is a very poor translation of samma. And sati – sammasati. Sati can mean mindfulness, can mean remembrance, can mean reflection, can mean recollectedness, can mean presence. All those meanings are involved in it. Mindfulness is only one of the meanings. It is a very potential and pregnant word—sammasati. It is the seventh step in Buddha’s eight steps – you are very close to reality. The eighth is samadhi. The seventh is sammasati. You have come very, very close; you are just on the threshold of reality – it has to be very, very significant. When you are utterly present in the presence, when you don’t have any past and don’t have any future… when this cuckoo calling, this train passing, this dog barking, is all… when THIS is all and there is no that, when the word ‘here’ is your whole reality and there is no there, when now contains ALL time and there is no then… then you are in the state of sammasati. That’s what I go on calling ‘here-now’ – that is sammasati. Then you are utterly present, absolutely present. When something is going on in your mind about the past, you are not here; a part of you is travelling towards the past, and a part of you is travelling towards the future – only a small fragment is here. When ALL the parts of your being are here, when you are totally at home, nothing is missing, when you are integratedly here, then it is right-mindfulness. In that moment you will reflect reality – as it is, without any distraction, without any distortion. Because you don’t have any thought in the mind, how can you distort it? Thought distorts, thinking is destructive. It goes on imposing – it does not allow you to see that which is. Right-mindfulness is a state of no-mind, no-thought! And remember: it is also a state of no-feeling – otherwise, you may think it is a state of feeling. No, it is not – because feeling again creates ripples and the surface of the lake is disturbed, and again the moon is not reflected as it is. Neither thought disturbs you, nor feeling. These are the three states: one is thinking – the most disturbed state; second is feeling – less disturbed than thinking, but still disturbed; third is being – no disturbance at all. One is in the head, second is in the heart, third is in your guts. Right-mindfulness is a gut-state: no head, no heart. You are simply there undefined, undefinable. And, yes, it is not a practice. You cannot practice it, because practice brings goal! Practice is desire, practice is mind. And remember: whenever you practise something, you are imposing something against yourself, otherwise why practise it? Against whom are you practicing? When you practise truth, what will you do? You will repress the untruth – but the untruth will remain there, deep inside you, ready to explode any moment. It will go on accumulating. When you practice love, what will you do? You will repress hatred. When you practice compassion, what will you do? You will repress anger. And all that is repressed will go on remaining in you, and all that is practiced will remain on the surface, and all that is rejected will go deep into your being. The rejected will become part of your being and the practiced will remain just a coating, a painting on the surface. And remember: whenever you practice anything, you are angry at it. Naturally so – because all practicing divides you, makes you schizophrenic. One part of you is trying to manipulate the other part. One part of you is trying to enforce some ideas on the other part. And the part that is trying to enforce is a very impotent part, but articulate – your head. It has no power, but it is very articulate, very clever, very cunning, very argumentative. And the head goes on imposing on your body, on your heart, which are far more potential, far more powerful; they have energy sources, but they are not articulate, they are not argumentative – they are silent. 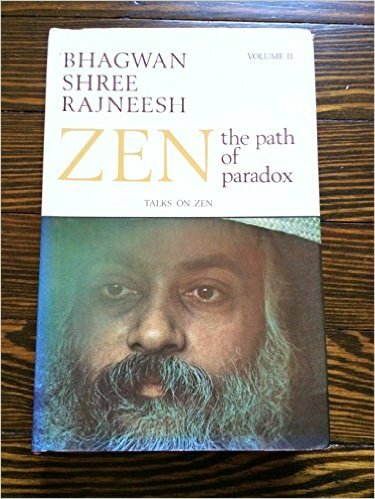 And the head goes on pretending that it has practiced… and then a situation arises and all practice is thrown away – because the head has no energy. You think for years that you will never be angry, then one day somebody insults you and in a single moment you have forgotten all that practice. And YOU ARE angry! By the time you come to know that you are angry, anger has already happened. You are burning, you are fire. From where does this fire come? And years of practice! That practice was just on the surface. Mind was pretending; because there was no situation provoking you, mind was able to pretend. Now the situation has arisen and mind is not able to pretend. The reality asserts itself. That’s why down the ages, through the ages, the so-called religious people have been escaping from society, from life. Why? They are escaping from situations where their practice can be proved wrong; nothing else are they doing. Going to the Himalayas they are simply escaping from the world – because the world brings situations! And their so-called practice and their religion and their discipline is broken again and again. Somebody insults, or a beautiful woman passes by, and all their celibacy and all their brahmacharya and all their ideas are gone. A single beautiful woman is enough to destroy all their years of celibacy. They escape from women, they escape from the world, they escape from money and the market – they know that they can be moral and religious and saintly only when there is no situation which provokes their reality. Then the mind can go on playing the game in a monastery. When there is no challenge, mind seems to be the master. When there is challenge, mind is no more a master. Whatsoever you practice remains false. Never out of practice has anything real happened. Beware of this. The real happens only through understanding, not through practice. And what is the difference? Understanding will say: Remain where situations arise, remain where challenges surround you. Be there where provocations and temptations exist. Test yourself there. Go into situations! Understanding will say: If anger comes, then go into anger and see what it is. See yourself – don’t trust anybody else’s judgement about it. Go into it! Be burnt by it. Let it leave scars on your being – because one learns only through the hard way. Only your experience will tell you again and again and again that anger is stupid – not that it is a sin! It is simply stupid. And as the understanding grows deeper, anger will be coming less and less. One day… the understanding has touched your very core of being, the light has penetrated you. You have seen through and through that anger is futile: in that very moment anger has disappeared and there has not been any repression. Remember this: repression is the pitfall for ALL those people who want to transform their lives – they have to avoid repression. Indulgence is not so bad, because indulgence can one day bring understanding, but repression can never bring understanding. How can you understand something which you go on repressing and you don’t look into? – you go on covering it, go on throwing it in the basement of your being. And remember: the more you practice, the more you pretend, the more you are angry at your own practice. Your real parts, your guts are angry. That’s what will happen. You can go on practicing, but deep down you know that you are repressing, that you are rejecting, that you are denying some essential parts of your being. Right-mindfulness is the flavor of understanding, not the outcome of practice. Right-mindfulness is the fragrance – the fragrance of seeing into things deeply, the fragrance of insight. 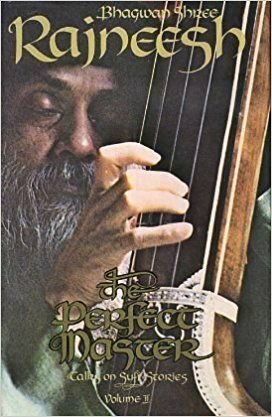 Prem Sukavi, God is not a person. That is one of the greatest misunderstandings, and it has prevailed so long that it has become almost a fact. Even if a lie is repeated continuously for centuries it is bound to appear as if it is a truth. God is a presence, not a person. Hence all worshipping is sheer stupidity. Prayerfulness is needed, not prayer. There is nobody to pray to; there is no possibility of any dialogue between you and God. Dialogue is possible only between two persons, and God is not a person but a presence – like beauty, like joy. God simply means godliness. It is because of this fact that Buddha denied the existence of God. He wanted to emphasize that God is a quality, an experience – like love. You cannot talk to love, you can live it. You need not create temples of love, you need not make statues of love, and bowing down to those statues will be just nonsense. And that’s what has been happening in the churches, in the temples, in the mosques. Man has lived under this impression of God as a person, and then two calamities have happened through it. One is the so-called religious man, who thinks God is somewhere above in the sky and you have to praise him to persuade him to confer favors on you, to help you to fulfill your desires, to make your ambitions succeed, to give you the wealth of this world and of the other world. And this is sheer wastage of time and energy. Martin Buber says prayer is a dialogue; then between you and God there is an “I-thou” relationship – the duality persists. Buddha is far closer to the truth: you simply drop all chattering of the mind, you slip out of the mind like a snake slipping out of the old skin. You become profoundly silent. There is no question of any dialogue, no question of any monologue either. Words have disappeared from your consciousness. There is no desire for which favors have to be asked, no ambition to be fulfilled. One is now and here. In that tranquility, in that calmness, you become aware of a luminous quality to existence. Then the trees and the mountains and the rivers and the people are all surrounded with a subtle aura. They are all radiating life, and it is one life in different forms. The flowering of one existence in millions of forms, in millions of flowers. THIS experience is God. And it is everybody’s birthright, because whether you know it or not you are already part of it. The only possibility is you may not recognize it or you may recognize it. The difference between the enlightened person and the unenlightened person is not of quality – they both are absolutely alike. There is only one small difference: that the enlightened person is aware; he recognizes the ultimate pervading the whole, permeating the whole, vibrating, pulsating. He recognizes the heartbeat of the universe. He recognizes that the universe is not dead, it is alive. The unenlightened person is asleep, asleep and full of dreams. Those dreams function as a barrier; they don’t allow him to see the truth of his own reality. And, of course, when you are not even aware of your own reality, how can you be aware of the reality of others? The first experience has to happen within you. Once you have seen the light within you will be able to see it everywhere. God has to be freed from all concepts of personality. Personality is a prison. God has to be freed from any particular form; only then he can have all the forms. He has to be freed from any particular name so that all the names become his. Then a person lives in prayer – he does not pray, he does not go to the temple, to the church. Wherever he sits he is prayerful, whatsoever he is doing is prayerful, and in that prayerfulness he creates his temple. He is always moving with his temple surrounding him. Wherever he sits the place becomes sacred, whatsoever he touches becomes gold. If he is silent then his silence is golden; if he speaks then his song is golden. If he is alone his aloneness is divine; if he relates then his relating is divine. The basic, the most fundamental thing is to be aware of your own innermost core, because that is the secret of the whole existence. That’s where the Upanishads are tremendously important. They don’t talk about a God, they talk about godliness. They don t bother about prayer. their whole emphasis is on meditation. Meditation has two parts: the beginning and the end. The beginning is called dhyana and the end is called samadhi. Dhyana is the seed, samadhi is the flowering. Dhyana means becoming aware of all workings of your mind, all the layers of your mind – your memories, your desires, your thoughts, dreams – becoming aware of all that goes on inside you. Dhyana is awareness, and samadhi is when the awareness has become so deep, so profound, so total that it is like a fire and it consumes the whole mind and all its functionings. It consumes thoughts, desires, ambitions, hopes, dreams. It consumes the whole stuff the mind is full of. Samadhi is the state when awareness is there, but there is nothing to be aware inside you; the witness is there, but there is nothing to be witnessed. Begin with dhyana, with meditation, and end in samadhi, in ecstasy, and you will know what God is. It is not a hypothesis, it is an experience. You have to LIVE it – that is the only way to know it. 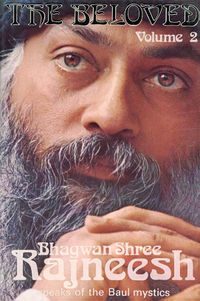 Osho, say something more about self-knowledge. That’s my whole interest and inquiry. Self-knowledge is a contradiction in terms. When it really happens, there is no self and there is no knowledge. If the self is there, it can’t happen. If knowledge is there, it has not happened. So a few preliminary things to be understood. First: for self-knowledge to happen, the self has to go. You have to forget all about your ego. You have to be in a state of egolessness. And the second thing: you have to forget all about knowledge too. If you are continuously hankering to know, that very hankering will prevent you. God reveals himself only to those who are not hankering for anything, who are not desiring anything – not even to know God. Mysteries are revealed only to those who simply wait, who make no demand on God. They wait with open eyes, they wait with open heart, but with no demand. Your demand is basically ego-oriented. Why do you want to know? Because knowledge gives power. Try to understand it. Knowledge is power. The more you know, the more powerful you become. Ego is always interested in becoming knowledgeable. If you know about nature, you become powerful over nature. If you know about people, you become powerful over people. If you know about your own mind, you become powerful over your own mind. If you know about God, you will become powerful over God. The search for knowledge, deep down, is really the search for power. And how can you be powerful over reality? The very idea is ridiculous. Allow the reality to be powerful over you… relax. And allow the reality to take possession of you, rather than you trying to take possession of reality. To be really in a state of self-knowledge, one has to forget self and forget all inquiry into knowledge. Then it happens! And only then it happens. There have been three efforts in the whole history of human consciousness concerning self-knowledge. The first effort is of the realist. The realist denies the self; he says there is no self inside, no subject; only the object exists, the thing, the matter, the world. That is his way to avoid the inner journey. The inner journey is dangerous. You will have to lose all! Self-knowledge and all, root and all – you will have to lose all. The realist cannot take that risk. He finds an explanation. He says, “There is no soul. There is no self. All that exists in the world is objects.” So he becomes concerned with knowing the objects. He forgets the subjectivity and becomes occupied with the objectivity. That’s what science has been doing for three hundred years. It is a way of escaping from oneself. The second way is that of the idealist who says there is no object: the world is maya – illusion. There is nothing to know outside, so just close your eyes and go in. Only the knower is true – the known is false. The realist says only the known is true and the knower is false; the idealist says only the knower is true and the known is false. And just see the absurdity of it – because how can there be a knower if there is no known? And how can there be a known if there is no knower? So the idealist and the realist are only choosing half of the reality. About the other half they are afraid. The realist is afraid to go in, because to go in means to go into emptiness, into utter emptiness. It is to fall in a bottomless pit, in an abyss… unpredictable. Where one will land nobody knows, or whether there is any landing at all. But both are being half true. And remember: a half-truth is far worse than a total lie. At least the total lie has one quality about it: it is total – the quality of totality. And one thing is beautiful about a total lie: it cannot deceive you long – because it is such a lie, even the stupid person will be able to see sooner or later that it is a lie. But the half-truth is dangerous – even an intelligent person can get lost into it. The mystic’s approach is total. And I would like you to understand the mystic’s approach as deeply as possible. On one level both are right. When you are dreaming, the dream IS true, and the dreamer is true. When you are awake in the morning, it is no more true. Now the dreamer is gone, the dreaming is gone – both have gone. Now you are awake. Now you are existing on a totally different level of consciousness. The world is true, the ego is true, when man is ignorant, unconscious, unaware. When man becomes aware, when Buddhahood happens, then the world is not there, neither is there any ego – both have disappeared. “Both have disappeared” does not mean that nothing is left: both have disappeared into each other. Only one is left now, two are not left. The knower and the known have become one. That oneness is what is really meant by self-knowledge. But the word is not right. No word can be right. About such great experiences which go beyond duality, no word can be right. Man tries in two ways to overcome the epistemological dichotomy which is inherent in self-knowing. One way is to confine his knowing to objects of the world of the non-self. This way is to escape from self-knowledge. The people who want to escape from self-knowledge condemn it as introverted, unsocial, abnormal, even perverted. They call it a kind of intellectual masturbation, navel gazing: they call these people lotus-eaters, dreamers, poets, mystics, somehow gone astray from reality. How much of the pursuit of research in the natural sciences is motivated by the effort to keep our attention off ourselves? This question has to be asked. People become interested in scientific research – why? Are they really interested in some scientific project? Or are they simply trying to avoid going in? The greater possibility is that they are avoiding going in. Why? Albert Einstein was a man of great sensitivity, of great intelligence; a man who could have easily become a Buddha. Had all the potential, and missed – because he poured all his intelligence into the objective world. He became too much concerned about the stars and time and space, etcetera, and he forgot completely about himself. He became so much engaged with other things and other problems that he forgot completely who he was, or that some time has to be given to oneself too. One of the socialist leaders of India, Dr. Ram Manohar Lohia, went to see him. He was telling me that when he went to see Albert Einstein he had to wait six hours. The time had been fixed by Albert Einstein himself, and again and again the wife would come and bring tea and other things and would say, “We are sorry but he is taking his bath.” So long? If you become too much engaged in outer things, there is a possibility your whole consciousness will start moving into extroversion. Nothing points to yourself. Another night, Immanuel Kant came back home. He used to carry a walking-stick. He went in the room and forgot what is what, so he put the walking-stick on the bed, and he himself stood in the comer. Only in the middle of the night, suddenly he recognized the fact that something was wrong. This IS possible. One can become really so much obsessed with the objective… one can lose all track of oneself. One can fall in a shadow. Scientists live in that kind of shadow. Philosophers live in that kind of shadow. Subjectivity is eliminated when objects and objective interests take over. The ontological imperialism of scientific methodology is a pressing danger. It is one matter to hold that if something cannot be known by scientific methods, it cannot be known, but it is quite another matter to hold that if something cannot be known by scientific methods it does not exist. And once you become too much obsessed with the objective, then naturally you become obsessed with the methodology of science too – then that is the only valid method to know. If something is not available to that method, then not only do you say it cannot be known, you start saying, slowly, slowly, unconsciously, unawares, that if it cannot be known through scientific method it cannot exist. That’s why scientists go on saying God does not exist. Not that God does not exist – it is just their methodology. Their methodology is for the object and God is your subjectivity. Their methods are meant to catch hold of that which is separate from you. And God is not separate from you: God is your innermost being, your inferiority. Through scientific methods, love cannot be proved. That does not mean love does not exist. For it, a different methodology is needed, a different approach, a different vision, a different way of seeing. The scientist avoids the problem of self-knowing by getting more and more interested in the objective world. By getting more and more into things, he goes farther and farther away from himself. And there is a third effort also to overcome the subject/object dichotomy, and that is the way of the mystic. One way to avoid this problem of subject and object is that of the scientist: only object exists. The other way to avoid the dichotomy – because it is insoluble – is that of the idealist: to say that the world is illusory, it doesn’t exist, it is maya, close your eyes. Both are wrong. The third is the method of the mystic: he transcends. He does not deny reality to the object, he does not deny the reality to the subject – he accepts the reality of both. He bridges them. 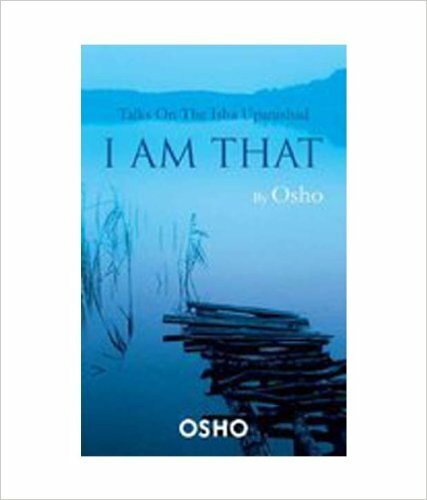 That is the meaning of the famous Upanishadic statement: Tat-Tvam-Asi – That art thou. This is a bridging. In this bridging, self-knowledge happens. Self disappears, knowledge disappears – knowing remains; a clarity, a transparency. All is clear. There is nobody to whom it is clear, and there is nothing which is clear – but ALL IS clear. It is only clarity and clarity…. This is called by the Buddhists: The Lotus-Land of Buddha. All is clear and fragrant, and beautiful, and graceful. Then the splendor opens its doors. The mystic transcends the problem by attempting a form of knowing in which the knower and the known are merged into one unit. Now nothing is left in the concept of ‘knowledge’. Knowledge cannot be divided into direct and indirect. All knowledge is indirect. Knowledge is a salute, not an embrace. It is a representation, a symbolization, a universalization, an analysis. In a sense, knowledge is a form of falsifying; for reality is concrete, particular, specific, unanalyzed. Knowledge is a dry and dead fact – it is not wet experience. And experience is not knowledge but knowing. That’s why Krishnamurti always uses the word ‘experiencing’ rather than ‘experience’. He is right. He turns the noun into a verb: he calls it experiencing. Remember that always: transform nouns into verbs and you will be Dover to reality. Don’t call it knowledge: call it knowing. Don’t call it life: call it living. Don’t call it love: call it loving. Don’t call it death: call it dying. If you can understand that the whole life is a verb, not a noun, there will be great understanding following it like a shadow. There is no self and there is no other. The great Jewish mystic and philosopher, Martin Buber, says that prayer is the experience of I and thou, a dialogical experience a dialogue. Yes, in the beginning prayer is so, but not in the end. 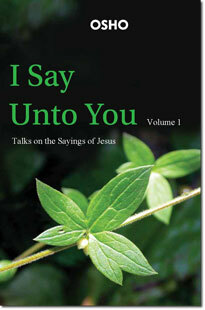 For the beginners, prayer is a dialogue between I and thou. But for those who have arrived, prayer is not a dialogue because there is neither I nor thou – only one. Dialogue cannot exist. It is not communication: it is communion. It is not even union, but unity. Self-knowledge is of great importance. Nothing else is of more importance than that. But remember these two pitfalls: one is denying subjectivity and becoming a realist; another is denying reality and becoming an idealist. Avoid these two pitfalls. Walk exactly in the middle. And then you will be surprised – the self has disappeared, the knowledge has disappeared. But then descends knowing. Great light descends, and a light that not only transforms you but transforms your whole world. Buddha is reported to have said: The moment I became enlightened, the whole existence became enlightened for me. This is true. I am a witness to it. Exactly that’s how it happens. When you become enlightened, the whole existence becomes full of light and remains full of light. Even darkness becomes luminous, even death becomes a new way of living.